With Christmas fast approaching time to get in to the Christmas spirit and plan what festive delights will make an appearance this year. Just so many things I want to bake! Definitely entering a baking phase and came across these lovely looking little morsels in my latest newsletter from Donna Hay. Full of cherries, cranberries and a sprinkling of cinnamon - it doesn't get much more festive than that. I love cherries, here they are such a harbinger of Christmas. Sweet and succulent and here for such a short time. 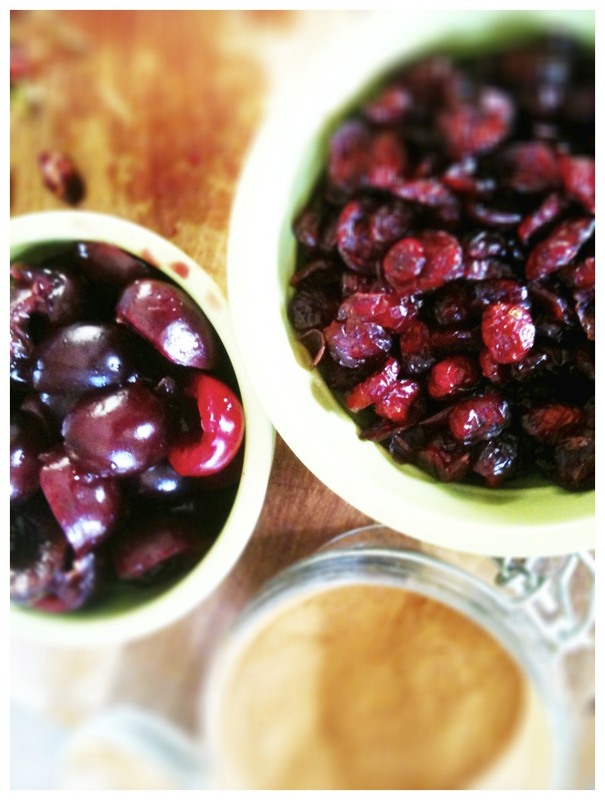 Cherries: Cherries probably originated in the Caucasus and Balkan areas, the cherry strudel, black forest cake and chilled cherry soups of countries like Hungary and Germany and the cherry and meats stews of Persia all speak of a long heritage with the cherry. 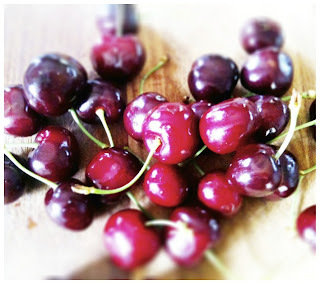 Cherries can be softly poached, used in muffin, cake or pudding batters, cooked or pureed and used in chilled desserts. Cherries like: ham, duck, quail, game, chocolate, almonds, cinnamon, red wine, cheese (cream, ricotta, mascarpone), star anise, bay leaf, vanilla and brandy. Preheat oven to 200°C (390°F). 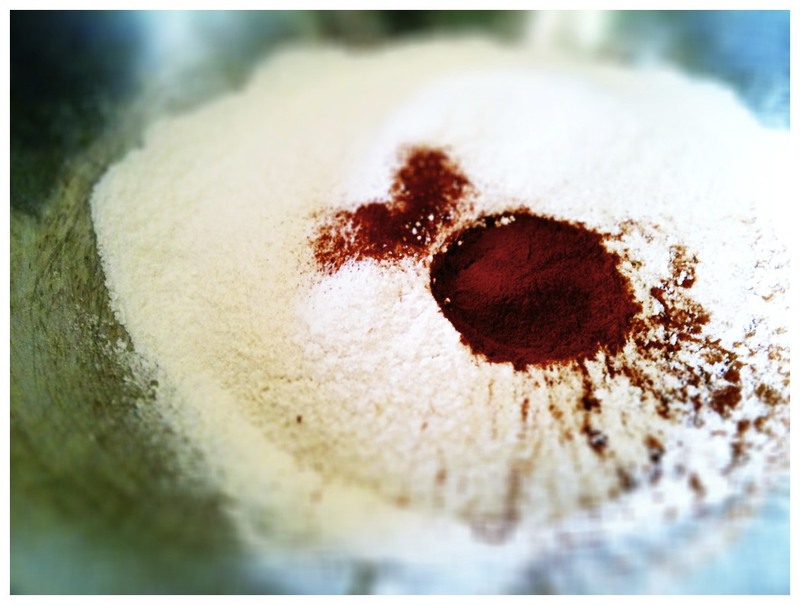 Place the flour, baking powder, cinnamon and sugar in a bowl and mix well. 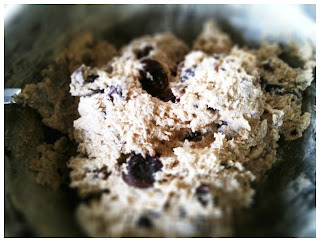 Place the sour cream, egg and oil in a bowl and whisk well. 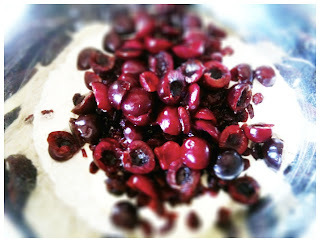 Add to the flour mixture with the cranberries and cherries and mix until just combined. tall cylinders and secure with string. Spoon the mixture into the ramekins and bake for 30 minutes or until cooked when tested with a skewer. 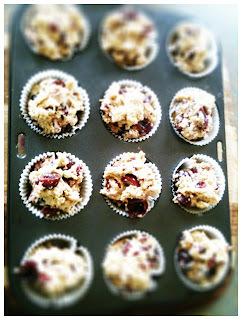 I just used normal cupcake cups to make smaller muffins. 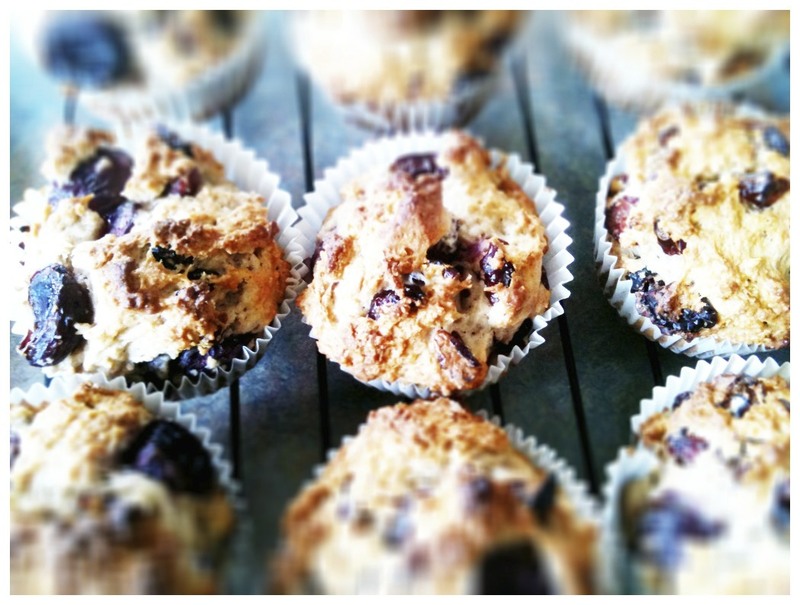 My lovely neighbours, and my willing tasters gave these get the thumbs up. 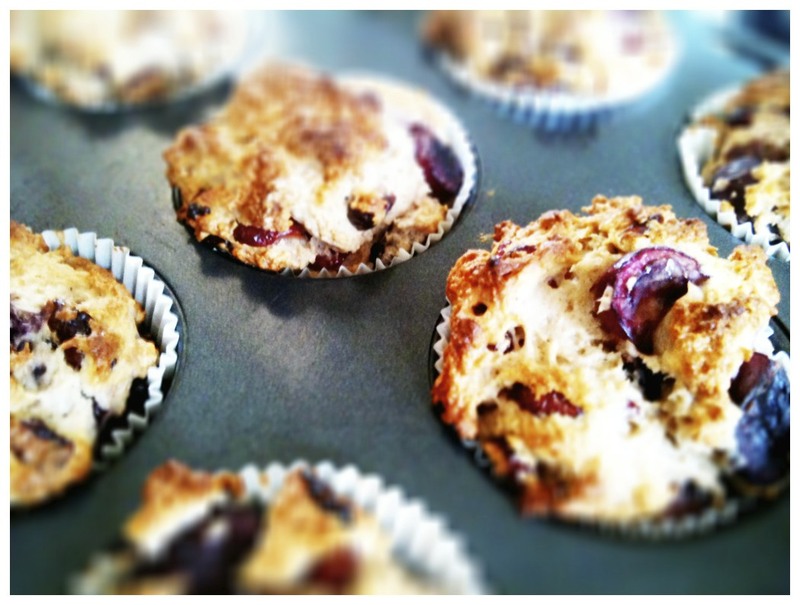 Golden brown on top and the cherries keep them light and moist on the inside. 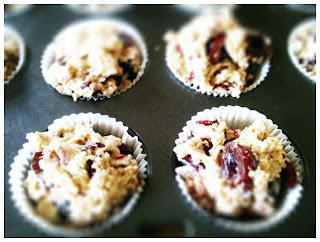 Then the warmth of the cinnamon, the tartness of the cranberry and the sweetness of the cherries make for great little muffin. These will most definitely make the cut for Christmas. I love the sound of these Christmas muffins, I haven't had any summer cherries yet, I have strawberries coming out of my ears sill!